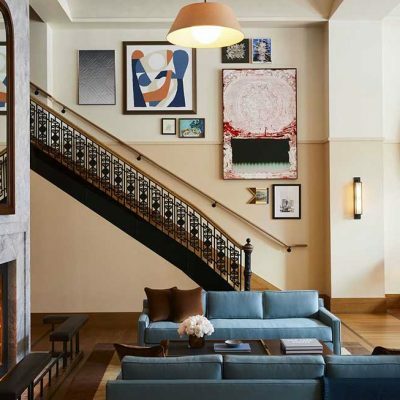 Our Inspired Design series looks at spectacular homes that have been profiled by Dwell and pairs them with Tablet hotels that share a similar aesthetic — so you can experience the style for yourself. 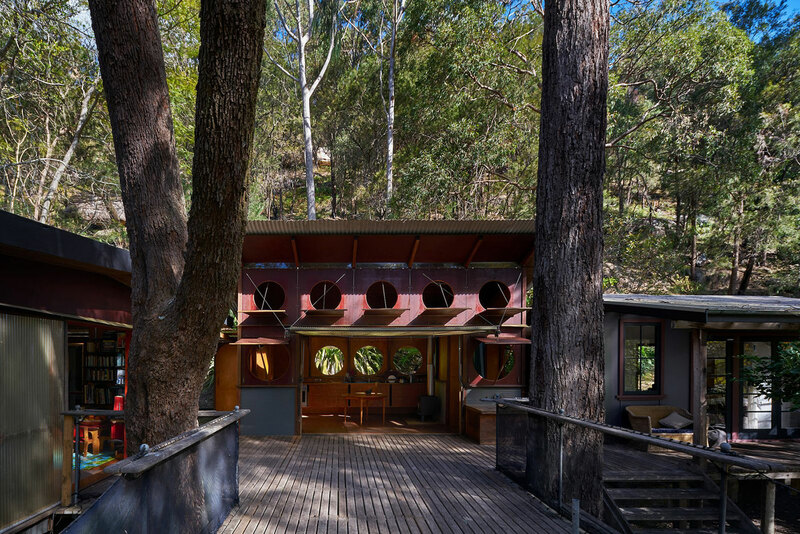 In a national park just north of Sydney, Australia, a rustic abode sits within a valley estuary, perfectly snug among the trees. And by among the trees, we really mean among the trees. 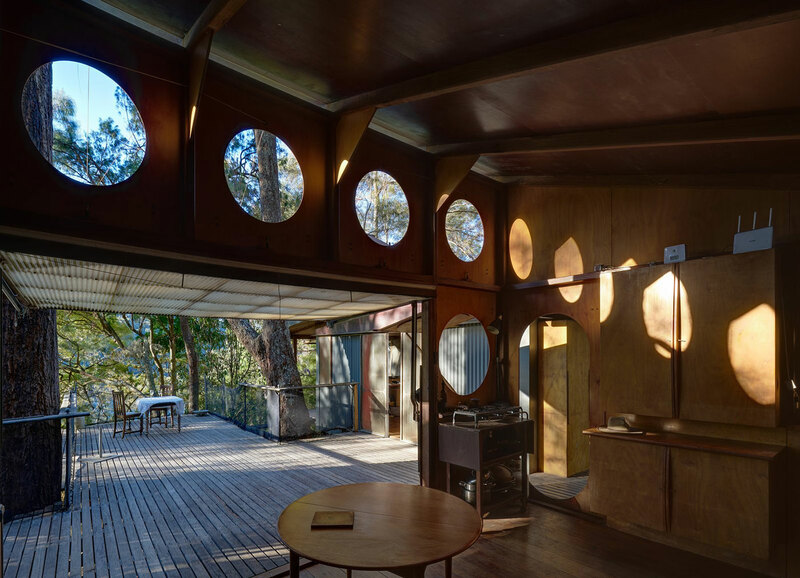 The 1,044-square-foot Osborne House completely and unapologetically embraces its isolated setting in the bushland, going so far as to feature window openings that eschew glazing. 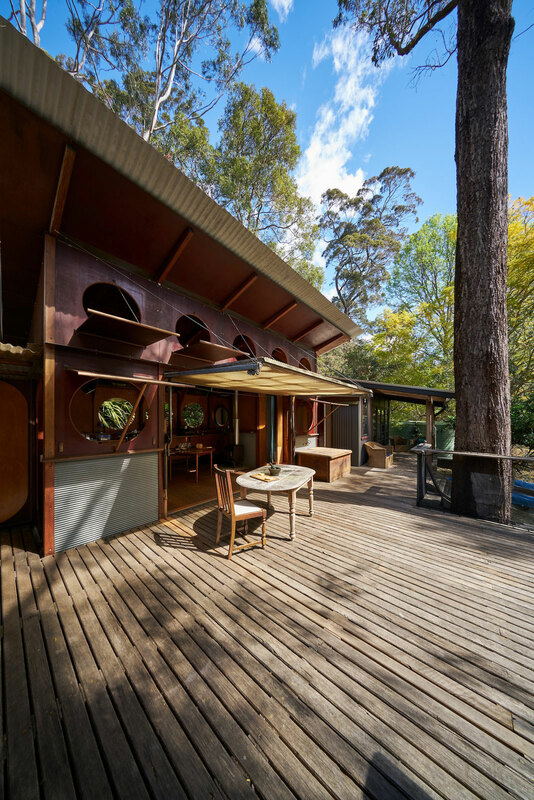 Instead, they opt for open-air portholes, making it easier to connect with the views and the local wildlife which includes wallabies, goannas, and lyre birds. 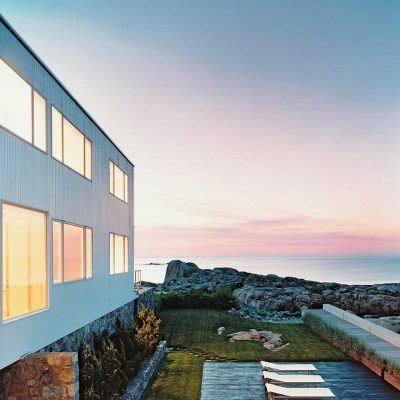 “When you open up something that’s not glass and are just left with a hole in the wall, it’s the most acute connection to outside you’ll ever get,” says architect Richard Leplastrier. We couldn’t agree more. 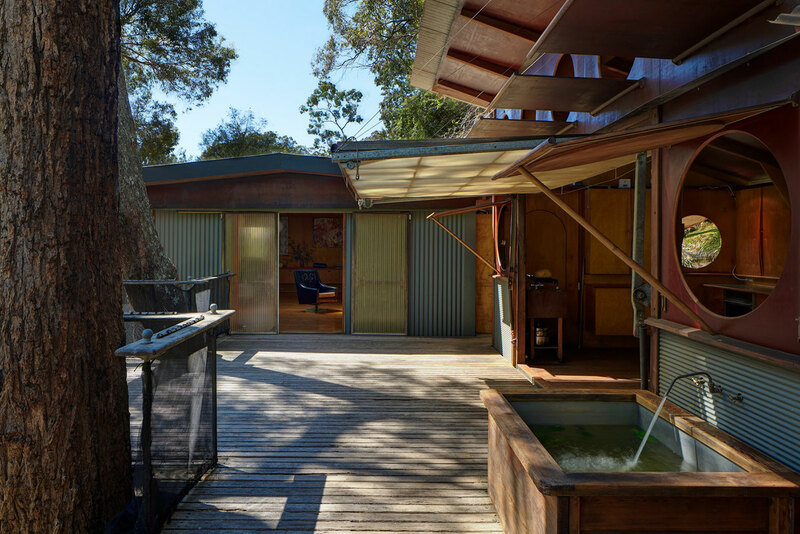 A three-pavilion home in a national park north of Sydney sits in an estuary and is accessible only by boat. 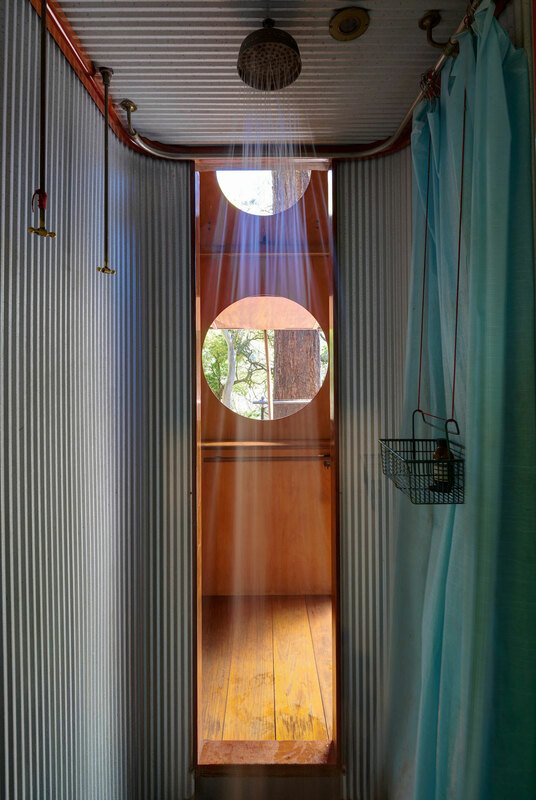 The door mechanism on the expansive deck opens outwards, serving as a sheltering visor against the elements. Set against a timber wall, a Japanese bath allows the homeowner to enjoy a leisurely soak while meditating on nature. 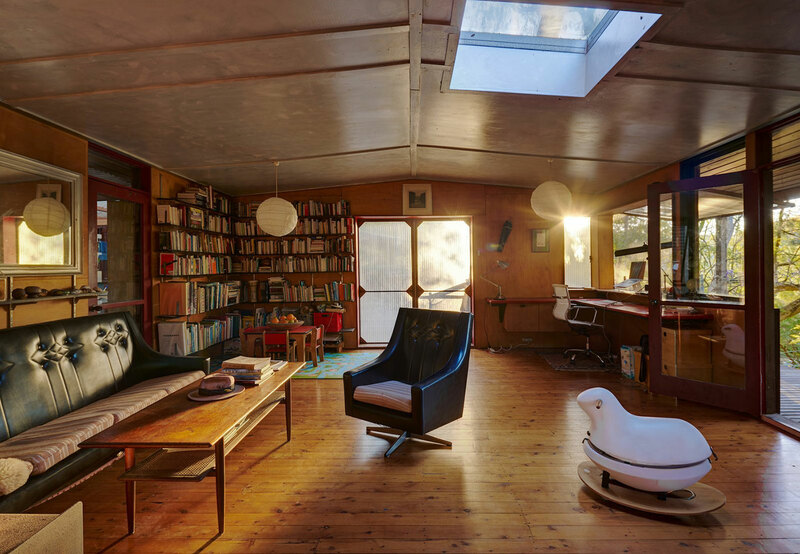 In the light-filled living area, bookcases and two built-in desks help create a workspace. 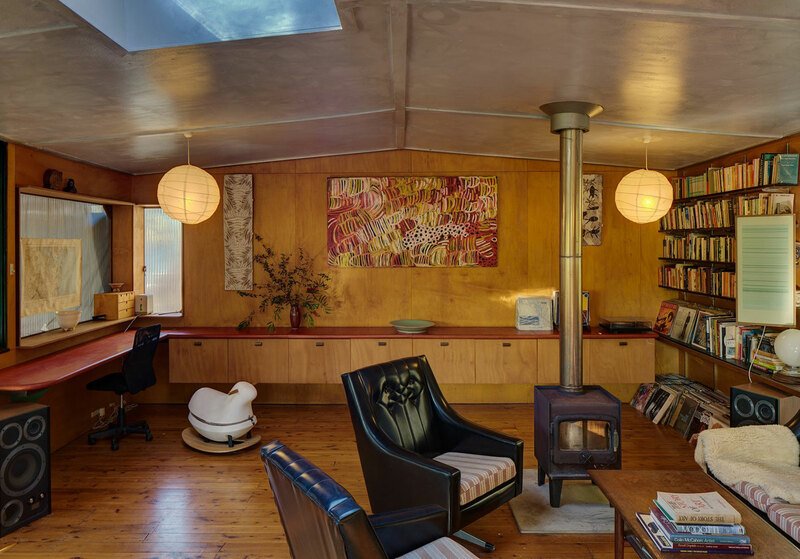 The architects added a wood-burning stove and storage units that float above floor level. 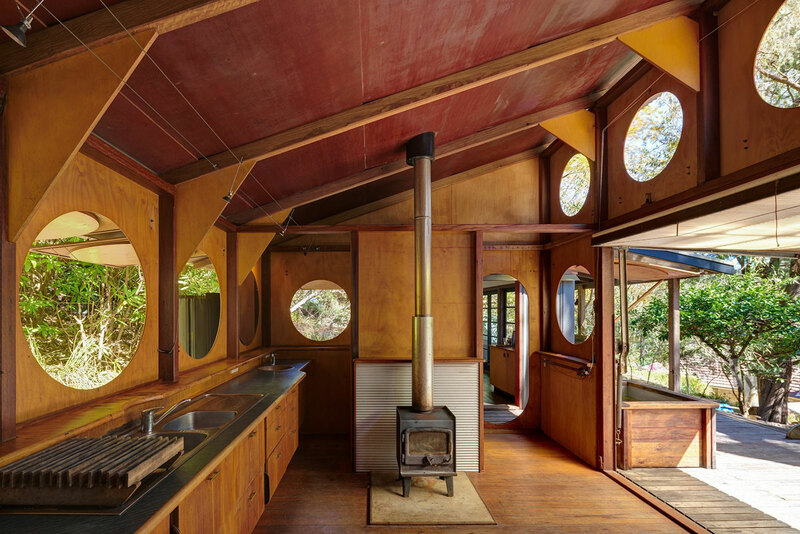 In the kitchen, light and fresh air stream through large portholes that are operable via a pulley system. The work areas of the kitchen consist of floating cabinets that incorporate sinks, an underbench oven, and plenty of storage. A three-burner cooktop sits on a custom-designed trolley. 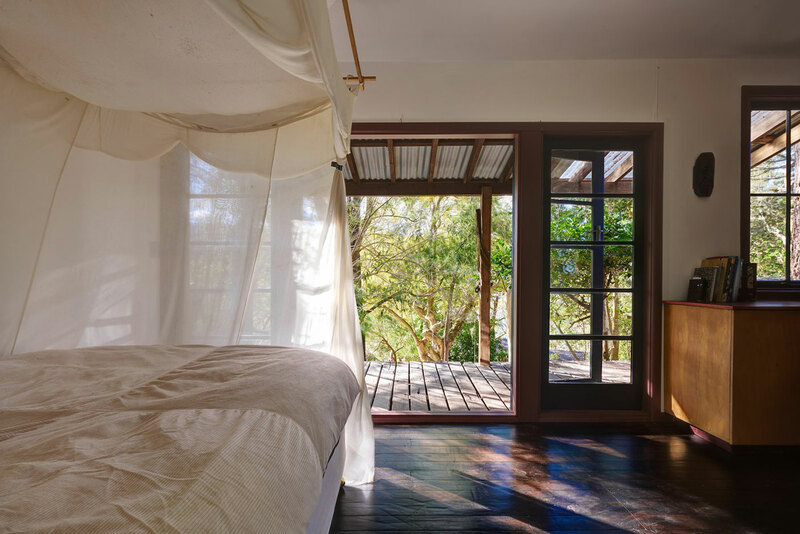 The bedroom lets the outside in, when desired. 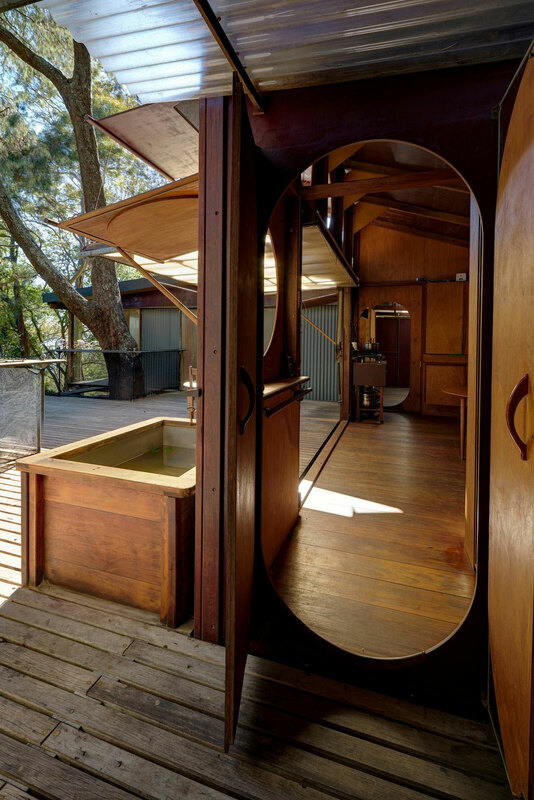 A bathroom sits on a section of the deck that looks out into the hillside. Nautical design inspires the construction of the kitchen, where doorways are elliptical with simple brass handles. 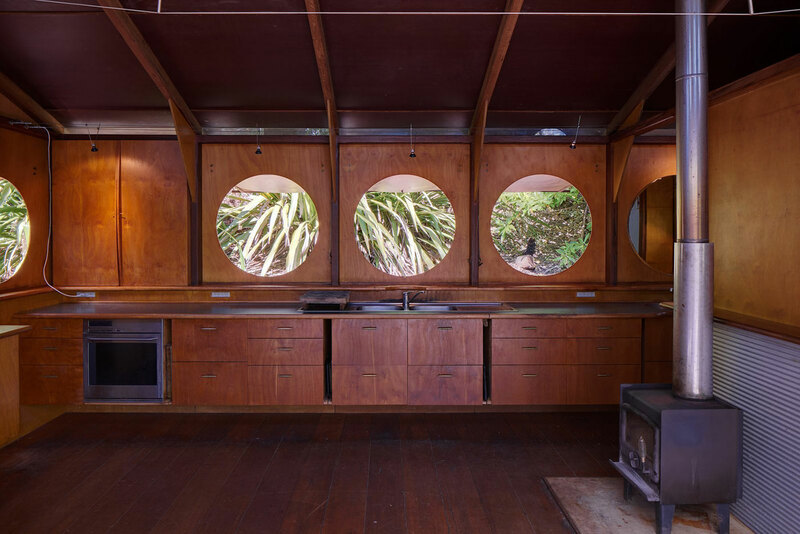 Portholes present views of the bush cliffs above. 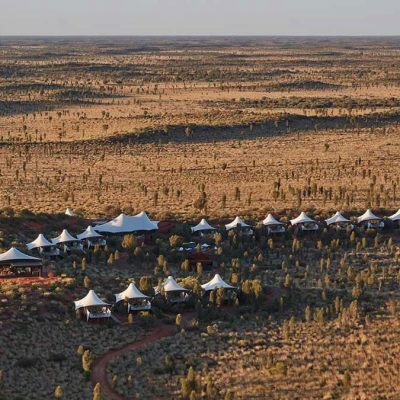 The Osborne House is unique, but the feeling obtained through this type of glamping — with a heavy emphasis on the glamour and little on the camping — is attainable in many gorgeous locations around the world, thanks to hotels like the ones below. 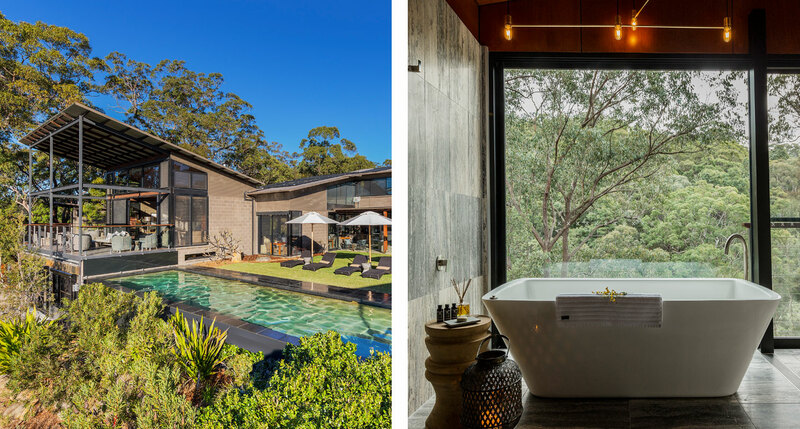 Just a touch farther from Sydney than the Osborne House, housed in the Blue Mountains, Spicers Sangoma Retreat offers that same experience of rural seclusion mixed with relaxation. 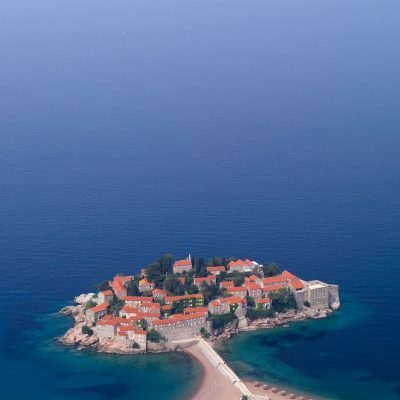 Case in point: it’s a hiker’s paradise, but it also offers an infinity pool and spa treatments. 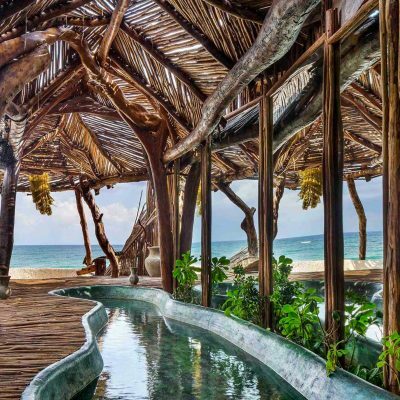 The suites are lavish and modernist, and even the Tent Suite features a freestanding Philippe Starck (read: beautiful) bathtub. 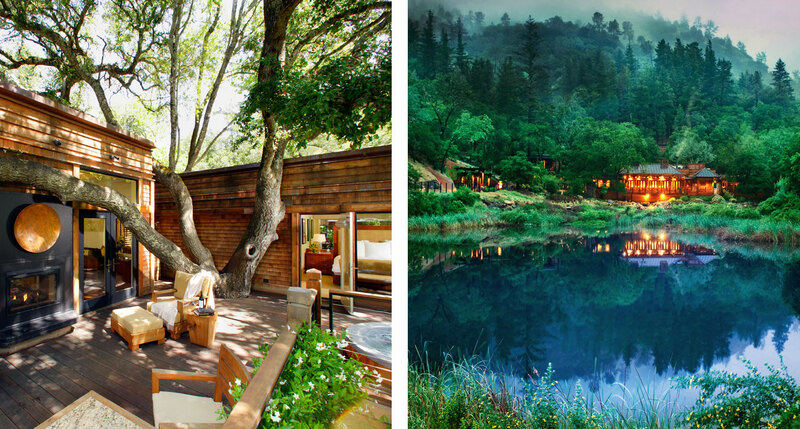 Sleek and contemporary freestanding cottages make up the Calistoga Ranch in Napa, more of a rural retreat than you might expect so close to San Francisco. 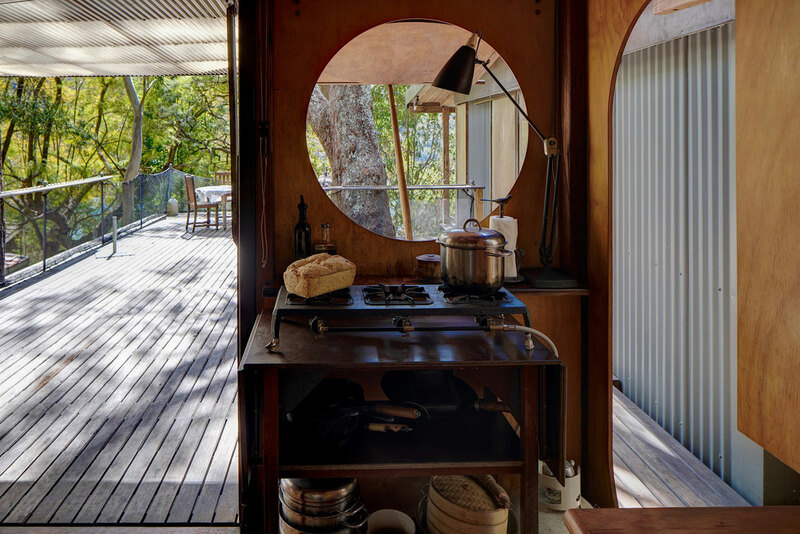 Indoor-outdoor bathrooms set the luxurious tone, and spending some time in nature is a matter of course when you’re surrounded by a forest like this. 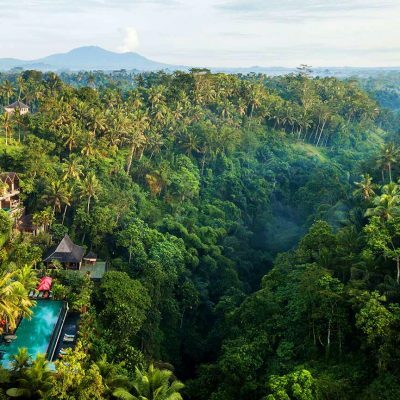 A 48-acre former tea plantation adjacent to pristine forest and mountainside, the location immediately sets the meditative tone at the Santani Wellness Resort & Spa, a place that’s designed from top to bottom to promote relaxation. 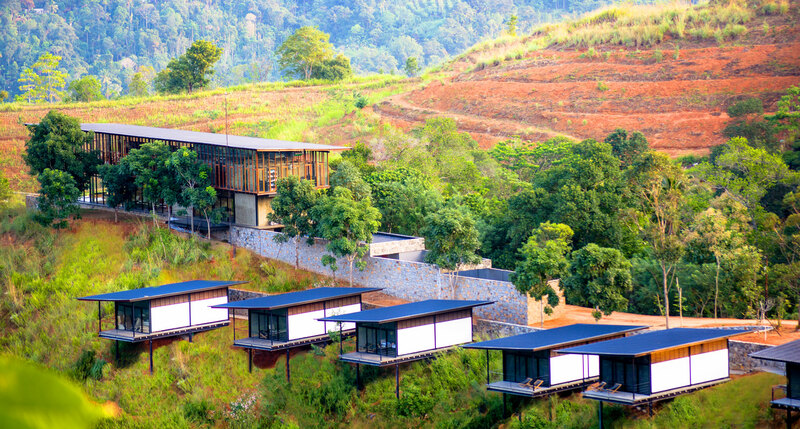 The unbearably scenic landscape gives way to remarkable views of the surrounding forest landscapes, and the minimalist modern architecture is designed to induce a calmer state of mind. The spa treatments, yoga, and ancient Ayurvedic medicinal practices help with that, too. See all entries in our Inspired Design series.